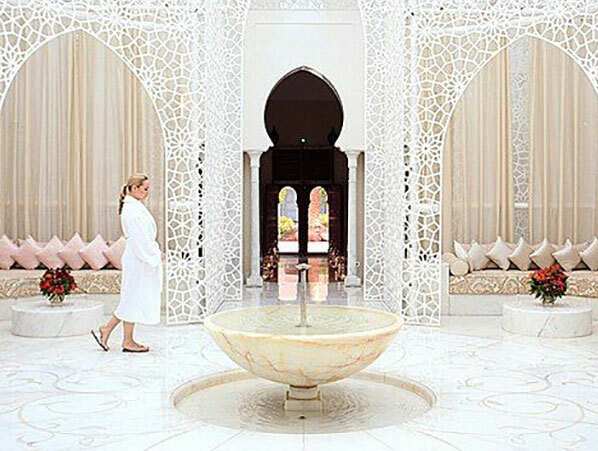 This luxury Marrakech Spa is a true paradise which promises to stimulate the senses, encourage relaxation and offer you a unique and unforgettable spa experience. 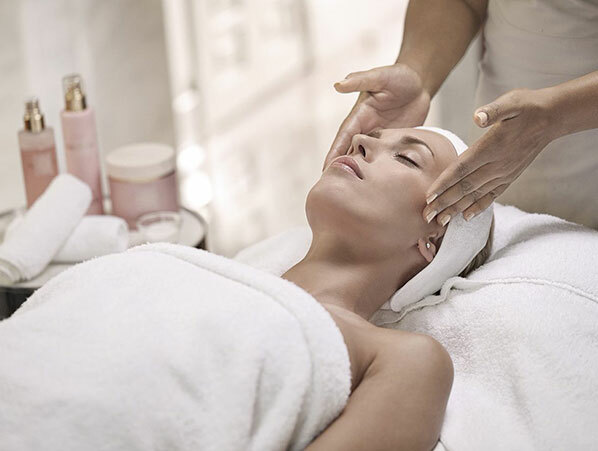 Upon arrival, you will begin your spiritual spa journey, leaving behind the hustle and bustle of the city and daily stresses as you enter into a world of tranquility and peace. The outdoor hot air gives way to a comfortable coolness within this vast wellness area. The purity of white, punctuated by the colourful floral bouquets and the serenity of the surroundings, are only interrupted by the melodious bird songs and the soothing sounds of the water fountains. At the heart of this well being experience like no other is an enchanting and particularly impressive fairy-tale white wrought iron atrium, evoking an elaborate birds’ cage. Spanning three floors, the first floor , flooded with natural light is where massages, facials, water and enveloping treatments are administered, For additional privacy, there are three spa suites for private treatments and exercises all of which offer a hammam, a treatment lounge, a plunge pool, and a private terrace. Whether you are on your own, for relaxation and pampering, or with friends to share an unforgettable experience, you’ll be amazed by the elegance and comfort of these suites. 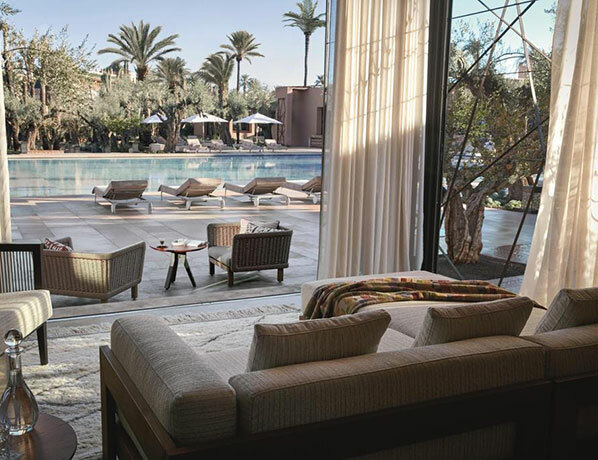 A seasonal fruit assortment will be served during your experience and you can also enjoy a light and balanced cuisine, prepared by the talented hotel chefs.on your terrace overlooking the Marrakech city walls. gourmet cuisine, prepared by the talented in house chefs. luxurious and well being experience like no other!